Many of our customers ask us for tips on proper battery care. We’ve heard a lot of different things said about batteries, some true, some not so much. Don’t believe everything you hear! Here are some myths about charging laptop batteries. MYTH #1 You should fully discharge your battery before charging it again. This general rule used to be true, with old nickel-based batteries. Nickel-based batteries used to be the battery type of choice for laptops, but have since been mostly replaced by lithium-based alternatives. The so-called “memory effect,” which was the reason a regular full discharge was recommended, does not exist in modern batteries. Fully discharging your battery is not only useless- it can even be harmful to your battery. MYTH #2: Using a higher amperage/wattage charger will harm your battery. There is nothing wrong with using a charger/power adapter with a higher amperage or wattage than your old charger. What is true, though, is that using a lower amperage/wattage charger can be bad for your equipment. The indicated output amperage on your charger doesn’t mean the amount of amps it will give; rather, it refers to up to how much it can give. Just make sure that the voltage on your new charger is not more than 10% higher or lower than your old charger. While an exact match is preferred, it is perfectly safe to use a charger within safe variable voltage. Example; the HP CQ40 Series line of laptops usually comes with a 18.5V 3.5A (65W) charger; but it is also compatible with a 19V, 4.74A (90W) charger. You will also need a charger that has a charging pin that is exactly the same as your old charger (no room for variation there; it either fits or it doesn’t). 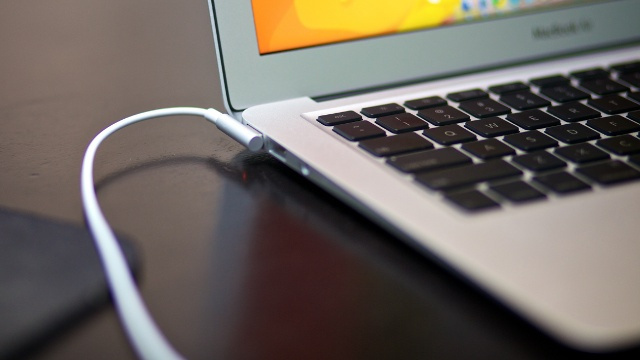 MYTH #3: Using your laptop while charging it will diminish your battery’s capacity. One of the most oft-repeated myths is that keeping your laptop permanently plugged in will damage it. Unlike the two myths above though, this myth does have a grain of truth in it. Keeping your laptop plugged in isn’t actually a problem; once your battery is full, the power management features in your laptop will stop charging it, and draw any power the laptop needs from the charger alone. What will damage your battery though, is heat. Your laptop’s electronic guts can get quite hot, especially during prolonged high-workload usage. Continuous exposure to that heat can diminish your battery’s ability to hold a charge. If you plan on leaving your laptop plugged in for weeks on end, remove the battery. Ideally, you want to have the battery at around a 50% charge when you take it out; it’s a level that’s ideal for storage. Need a new battery or charger for your laptop? At Voyager Trading, we sell laptop batteries and chargers/power adapters for all laptop models! Visit our main site for more details: voyager-trading.com.